When you want to upgrade the luxury of your interiors, opt for the unrivaled elegance of porcelain tile floors. 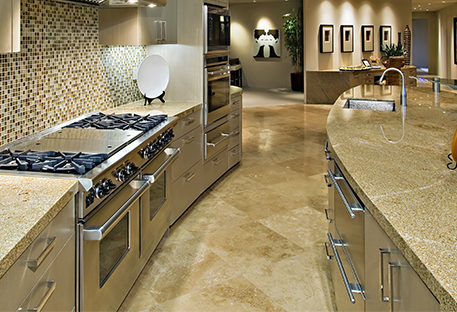 San Antonio clients rely on us as their source for all their tile flooring projects. We boast nearly 3 decades of experience in the flooring industry, offering you the assistance you need to find the porcelain tile flooring that suits your residential or commercial space. Porcelain tile flooring in San Antonio is ideal for kitchens and bathrooms, as it gracefully repels liquids. If you need guidance selecting the right style of porcelain, our associates are happy to help. We are committed to being your comprehensive flooring warehouse. Fast Floors of San Antonio also offers tile flooring installation in San Antonio. From mixing the right amount of grout to proper placement, our professional contractors have the expertise to deliver quality results that exceed your expectations. Call us today at (210) 787-5626 to receive a free estimate on your discount tile flooring in San Antonio. We proudly serve clients in San Antonio, Helotes, Stone Oak, Leon Valley, Alamo Heights, Balcones Heights, La Cantera, the Dominion, Rolling Oaks, Universal City, and Converse, TX.